While building his ranch, Philip met a rancher named Pete Dupree. Dupree had managed to catch five buffalo calves during the last big hunt on the Grand River in 1881. 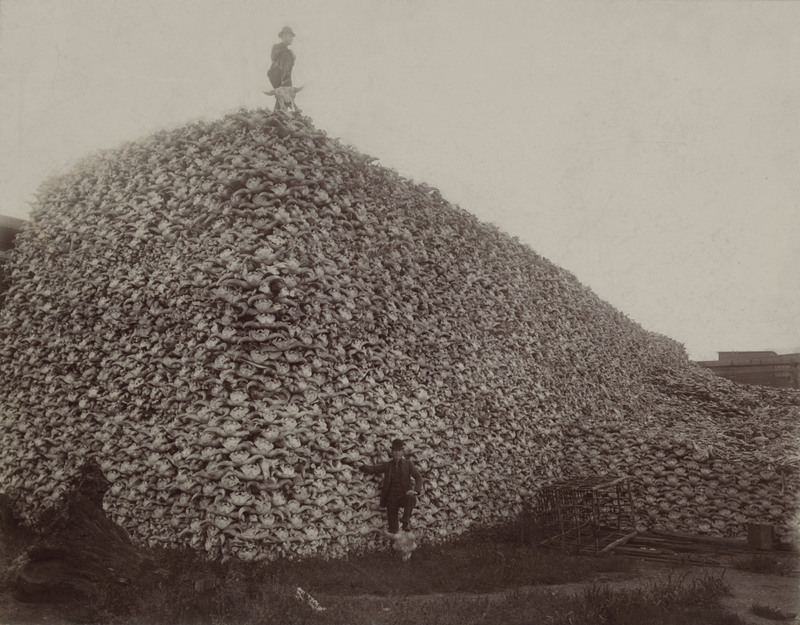 After Pete’s death, Scotty decided to prevent the extinction of the buffalo and purchased the herd from Dupree’s estate. In 1901, Scotty and several of his ranch hands drove the herd, now more than fifty animals, to a pasture he had constructed specifically for them. This pasture was located along the Missouri River to the north of the present day town of Fort Pierre, South Dakota. Often, this herd of buffalo could be seen grazing along the banks of the Missouri. Eventually they would number nearly a thousand animals, which was, at that time, the largest in the world. This herd would later provide stock for numerous national and state parks throughout the United States, including South Dakota’s Custer State Park. The herd thrived in the park, and has since been used to stock other parks and refuges around the continent. Philip died suddenly of a cerebral hemorrhage in 1911. The news shocked the West, where Scotty was widely known and respected. Hundreds of people came, so many in fact Scotty’s friend Alex Johnson, a passenger agent for the Chicago and North Western Railroad, ordered a special free train to haul mourners to the ranch as a compliment to the memory of Scotty. Philip had done so much for so many as a rancher, a freighter, a State Senator, a businessman, and as a neighbor that the funeral was one of the largest ever in the State. Everybody knew Scotty. The funeral procession included bankers, politicians, Native Americans, cowboys, ranchers, and friends. In all, it was a fitting testament to Philip’s straightforward character and compassion.